Former Florida Gov. Jeb Bush (R), whose bitter rivalry with then-candidate Donald Trump in 2016 sparked a major rift between the Bush and Trump families, said this week the current president “couldn’t have been nicer” following his father’s death. Speaking Tuesday before The Wall Street Journal’s CEO Council, Bush thanked Donald Trump and first lady Melania Trump for their graciousness as the family prepared to honor the nation’s 41st president, George H.W. Bush, who died Friday at 94 years old. 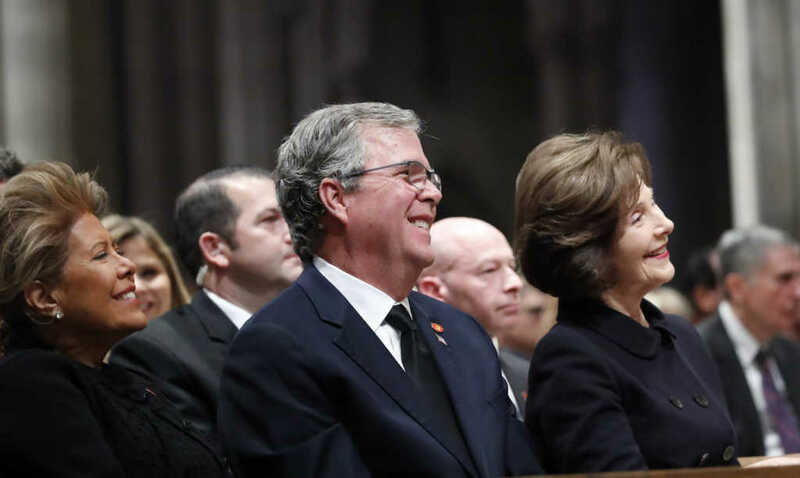 Bush went on to say Donald Trump “couldn’t have been nicer” when he called the Republican family to pay his respects. A one-time presidential contender, Bush encouraged the country’s leaders to work on restoring a “kinder, gentler America” — a staple of his father’s career. He admitted such an endeavor isn’t a “winning” political strategy, but advocated its importance, nonetheless.